Come with Free shipping + Free finger inserts of your choice + Free case! 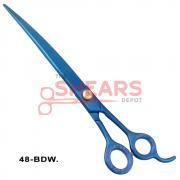 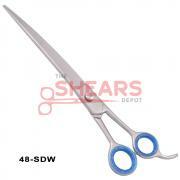 Buy hair scissors and hair shears @ wholesale prices from The Shears Depot. Description: Excellent quality professional grade shears in a rainbow multicolor finish with a down curved blade. 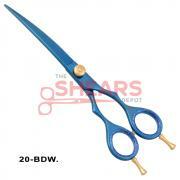 Made of J2 420C Japan Steel.